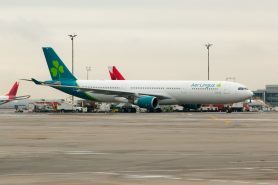 Irish Airline Aer Lingus said “fáilte” to a brand new livery late last week. Following a public unveiling in Dublin, their first A330 to sport the new scheme journeyed to New York’s John F. Kennedy International Airport. NYCAviation was on hand for the first NYC arrival. 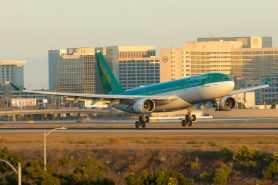 An Aer LIngus A330 in the old livery. Taken at our SpotLAX18 event. The new livery trades the previous heavily green color scheme for one that is mostly white. 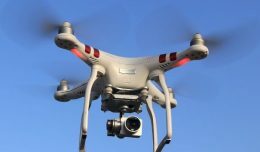 It adopts the currently popular design of an almost entirely white fuselage with a colored tail that wraps around the underside of the aft fuselage. This design has been seen on quite a few other airlines over the past several years including Lufthansa, LATAM and fellow IAG stablemates Iberia, Level, and Vueling. The new livery sees the Kelly green that dominated the previous livery replaced with a more modern teal color. 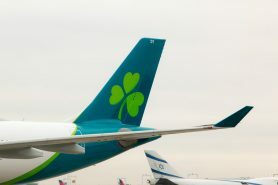 The trademark shamrock remains on the tail. It’s shape has been slightly modified so that it now looks more like it is being blown in a slight breeze. It’s color had also been updated slightly to a lime green shade. The lime green also makes an appearance as a wedge shaped ring that begins at the base of the vertical stabilizer and extends around the fuselage. 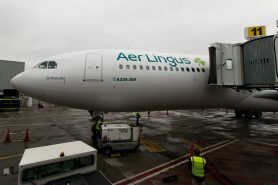 Towards the front of the fuselage, the Aer Lingus titles have been painted in a simple, sans serif font with a Gaelic-inspired ‘g’ the shamrock also makes an appearance alongside the airline titles. 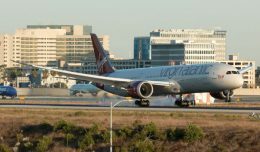 The aircraft names that existed on the previous livery have been retained. Under the wings, the engines have also received the teal treatment, while the winglets have as well. 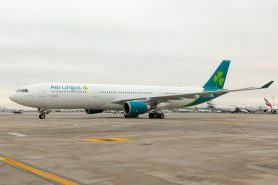 At a presentation held in the Aer Lingus Lounge at JFK, we were told that the new livery was intended to evoke three thoughts: power, Ireland, and (for those returning) home. I wanted to hate this livery. Like many aviation photographers, I loathe “EuroWhite” schemes due to their lack of color and other visual features. Besides, isn’t the AvGeek way to hate every new livery? Judging by the reaction on social media, it sure seemed that way. The first Aer Lingus A330 in the new livery pulls into gate 11 at JFK. But I don’t hate it. When I first saw the leaked photos, I was completely indifferent to it. The new design didn’t seem better to me, nor did it seem worse. It was just…different. Another ho hum livery from IAG. After it had been publicly unveiled and photos taken in good light had been released, I sat down and compared old to new. Much to my surprise, the old livery looked dated. It actually seemed hard to believe that the replaced paint scheme was only about 20 years old. The cheatlines seemed to begin abruptly. The thick green cheatline lacked contrast against the green that made up the majority of the upper half of the fuselage. The thin blue cheatline got completely lost when viewed from a distance, lacking both contrast and definition. 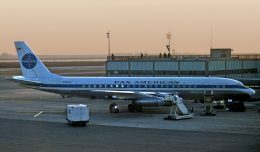 It was a classic livery from a time when airlines worldwide were beginning to modernize their look. 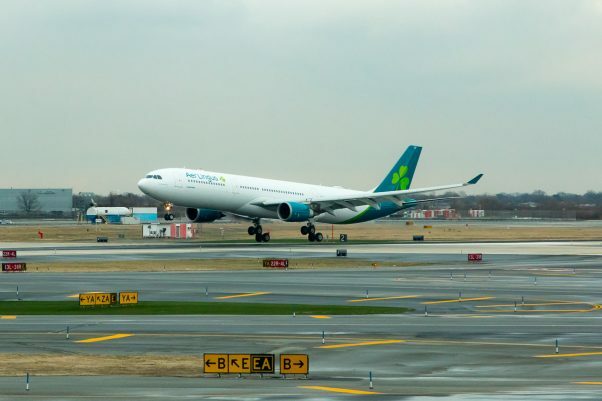 The first Aer Lingus A330 taxiing at JFK. The new livery definitely does not lack contrast. The teal and lime green stand out against both each other and the white fuselage. The shamrock on the tail is now an even more visible symbol of the airline. If I’m going to nitpick one area, it’s that the Aer Lingus titles on the fuselage could be a little larger and slightly more bold. They lack a degree of visibility, especially when viewed from a distance. How quickly will the Aer Lingus fleet be transformed? They expect to repaint all of their aircraft within the next 2.5-3 years. 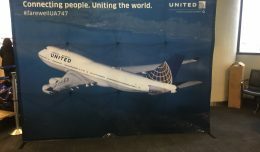 That is far faster than the up to 7 years it takes larger airlines to repaint their fleet. The leased 757s, operated by Air Contractors, will not be repainted as they are expected to be phased out beginning later this year. Their replacement is the new A321neo LR, of which Aer Lingus expects to take delivery of a pair in 2019.